I hope everyone has been having a good run at cities so far. I didn’t get to play in any City Championships this weekend, but will getting back into action this weekend with a pair of City Championships in Indiana. So far we have two weekends in the books, which gives us a solid amount of information about the winning decks to start drawing conclusions about the meta game. In this article, I’m going to be looking at the top performing decks of the format, and try to discern why the meta game is settling the way it is, and how it could move in the coming weeks. So first off, let’s take a look at the decks with the most first place finishes, via Pokegym’s Result Thread. When combining all of the Darkrai big basic decks (without Landorus EX), there are 7 of these with first place finishes, and combining Landorus EX big basic decks, there are 8 with first place finishes. Overall, based on the top finishes, the top decks in the meta game appear to be Landorus EX decks, Darkrai decks, Rayquaza/Eelektrik, Blastoise/Keldeo, and Ho-Oh EX decks. Moving forward, let’s take a look at how these top finishing decks did in terms of total top 4 placements. By looking at the top four finishes, the best decks in the format appear to be Blastoise/Keldeo, Landorus EX decks, Darkrai decks, and Hydreigon decks. By combining these two data sets together, we can attempt to make out an early tier list, with mid-tiers, to properly rank the best decks in the format. When I do a tier list, I am looking at the decks likelihood of giving any given tournament, so the tier list will be made based on that idea. Tier 1 will be what I view to be the best decks in the format that are dominating the tournaments, Tier 2 will be legitimate threats to win a tournament, and Tier 3 will be the okay decks that could win a tournament, but have a low probability of doing so. Without a doubt, the top three decks of the cities format so far has been these three decks. For the most part, it has been one of these three archetypes doing very well at tournaments so far. Landorus EX is a strong deck because it counters the reigning top decks of last format, Darkrai stuff and Eelektrik decks based on type. 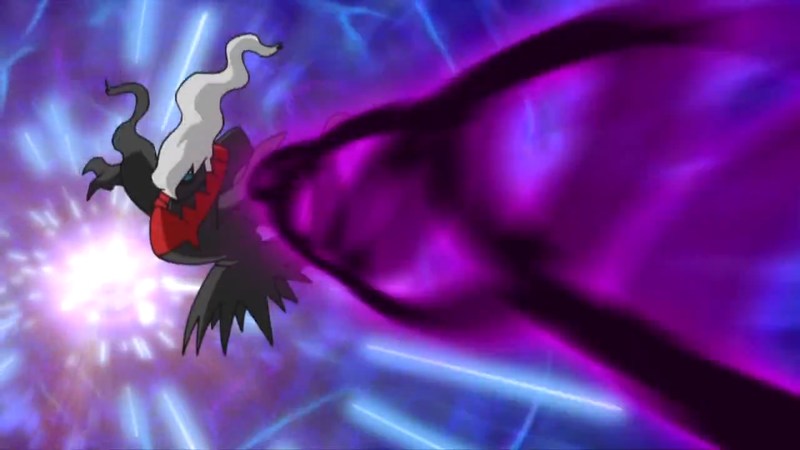 Darkrai EX decks were one of the strongest from last format, and they remain strong as the speed provided by Dark Patch, as well as the consistency that Sableye brings makes for a very powerful deck that has remained strong into the new format. Lastly, the other top deck is another new comer, Blastoise decks which directly counter one of the other top decks based on type, and is generally a strong deck because of the unlimited damage potential of Keldeo EX. 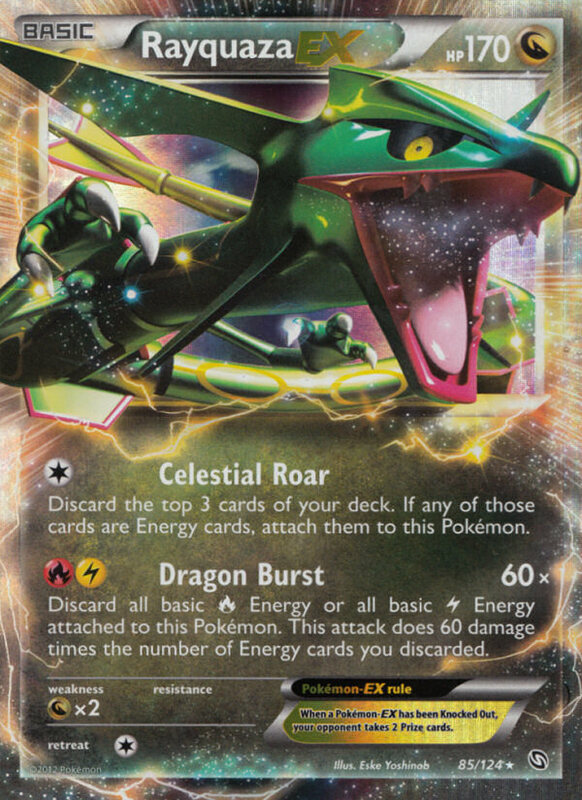 Rayquaza/Eelektrik has a very odd place in the current format, in that it is going to be very difficult for it to make it into the top cut, but once it is into the top cut, it is probably the favorite to win the entire tournament. The reason why it struggles to make it into the top cut is because Landorus EX decks hurt the viability of any Eelektrik based deck, and fast Darkrai decks still have at least a 50/50 matchup against it. The reason it has won 5 tournaments out of the 8 it made top 4 in? Because it has a 50/50 matchup against one of the top decks (Darkrai variants) and a very favorable matchup against another (Blastoise decks). So if a Rayquaza/Eelektrik deck makes it into the top cut with a bunch of Blastoise decks, and maybe a Darkrai deck, it will have a very good chance of winning the entire tournament. 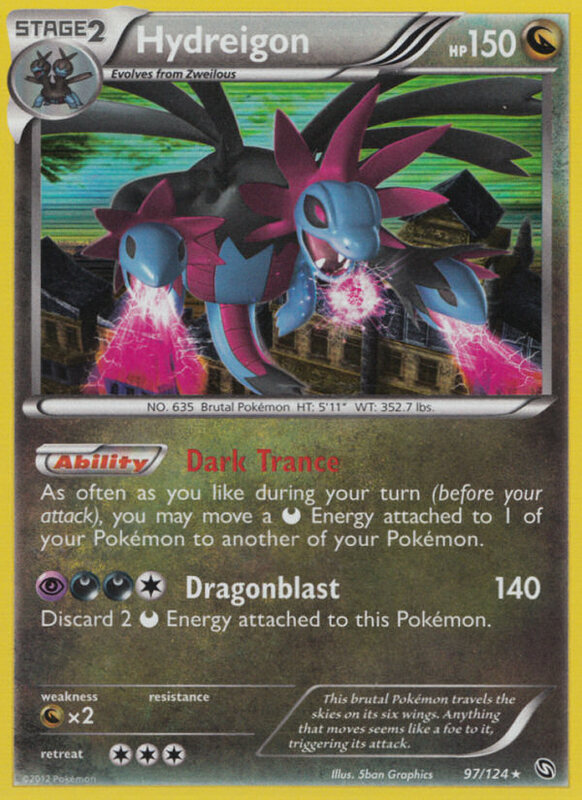 Hydreigon was the most dominant deck from our Battle Roads format, and it is continuing strong into the new format. The problem that plagued the deck last format (consistency) is still there in this format, although Computer Search does allow it to run more consistently (but at the same time allowing every other deck to run more consistently). Landorus EX decks can be trouble for any evolution deck (sans Blastoise) because any inconsistency will lead to the pre-evolutions being knocked out, and Landorus decks also play Fighting partners which are very strong against the Darkrai backbone of Hydreigon decks. Blastoise can be a tough matchup as well, as Keldeo EX can ohko Hydreigon’s attackers, knocking all the Energy off the board very quickly, as well as just knockout Hydreigon, shutting off the energy trans. Ho-Oh decks still serve some threat in the meta game, as they can be built to counter almost any deck in the meta game. The difficulty of course is predicting the meta game correctly and choosing the right techs. Perhaps the thing holding Ho-Oh decks back the most are Blastoise decks, as the Ho-Oh player won’t be able to really play Ho-Oh down in a game without donating two prizes to their opponent, and when Ho-Oh is removed from the picture, the Ho-Oh deck largely resembles a Landorus EX deck, just with a lot of dead cards left in it. I really wouldn’t be looking at playing either of these decks if I was hoping to win a tournament. I think the Terrakion/Mewtwo deck has more potential than Eelektrik decks to do well in the new meta game, but Hammertime is still pretty popular, and that deck completely crushes this deck. Is there a place for Garbodor in the format? No. I don’t think Garbodor is going to be an effective strategy if you would like to maximize your chances of winning a City Championship. The deck struggled to succeed at Fall Regionals, and it looks like it will have a similar fate during City Championships as players know how to play around the deck. The reason Garbodor will fail to see success can be figured out just by looking at what the Top 3 decks in the format are. Landorus EX decks are a Tier 1 deck that isn’t dependent on Abilities, so it will have a natural edge against Garbodor decks. Darkrai decks have Sableye, so they can just Junk Hunt for Pokemon Catcher and keep bringing up the Garbodor until the Garbodor player runs out of Switch, and then deck them out or hammer them to death. 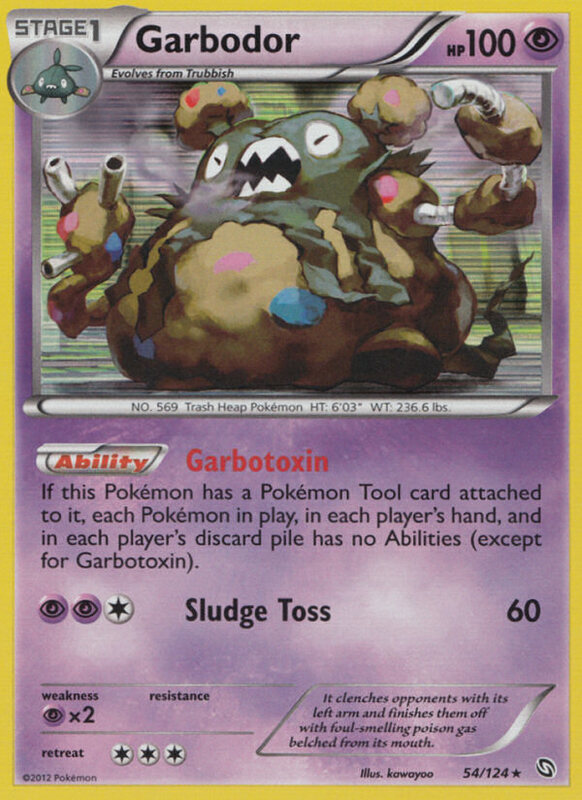 The Blastoise decks, however, could have a tougher time dealing with Garbodor. I think ultimately there will be too much going against Garbodor in just the Tier 1 decks to make it a viable play. So there you have it, that’s a brief look at the meta game that has been developing during City Championships thus far. Its a format largely dominated by two new archetypes brought by Boundaries Crossed, with a few of the old heavy weights from Regionals still sticking around. At the end of my last Underground Article, I wrote that I expected Blastoise, Landorus EX decks, and Hydreigon decks to be the top performing decks for City Championships. I also wrote that I wasn’t optimistic about Eelektrik’s future in the format, and felt that if one was to survive, it would be Rayquaza/Eelektrik, just because of how strong being able to ohko any Pokemon is. I think I hit it well on my big three decks, as Blastoise and Landorus decks have largely been the focal point of the meta game, and Hydreigon has the 4th best amount of Top 4 finishes. 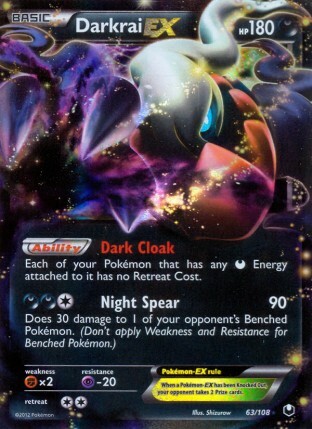 The one thing I missed on was big basic Darkrai decks still being Tier 1 decks. I thought they would still stick around, but probably be more of Tier 2 decks, as I felt Landorus EX decks would be very strong against it, and I thought Landorus EX would be widely played. I am still not 100 percent sure why these Darkrai decks are succeeding so well nationwide, as Landorus EX seems very strong against it to me (are people not playing enough Terrakion in their list or something, or not playing PlusPower, and thus unable to knockout two Sableye in a single turn against Hammertime variants? ), and my testing as of late has shown Blastoise/Keldeo to have a very strong matchup against these decks. I think traditional Zekrom/Eelektrik decks are dead at this point, and Rayquaza/Eelektrik decks are relegated to a weird category of somewhat high risk play, as you will have to find a way to survive a field of Landorus decks to make it into top cut, but once you’re there, you could find yourself with a very favorable path to winning the tournament. At the end of the day, I think the best play out of all these decks is still Blastoise/Keldeo decks. The deck has a type advantage over one of the other Tier 1 decks and it cannot really be countered on its own weakness as the Grass Pokemon we have available to us are too pitiful to properly counter Blastoise decks. It will be interesting to see how Blastoise decks develop and then fare against the rest of the field as players start looking to tech these decks more to give themselves an advantage in the mirror match.